Note to drivers who want to avoid an arrest for a DUI in Los Angeles: Try to make sure that your vehicle has all its parts before you get on the road. A lack of important features—like tires–are a dead giveaway that you may not be operating at peak performance. 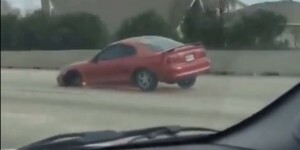 In Libertyville, Illinois, on September 5th, police arrested 20-year-old Lizette Diaz, who was driving a vehicle with no front tires. 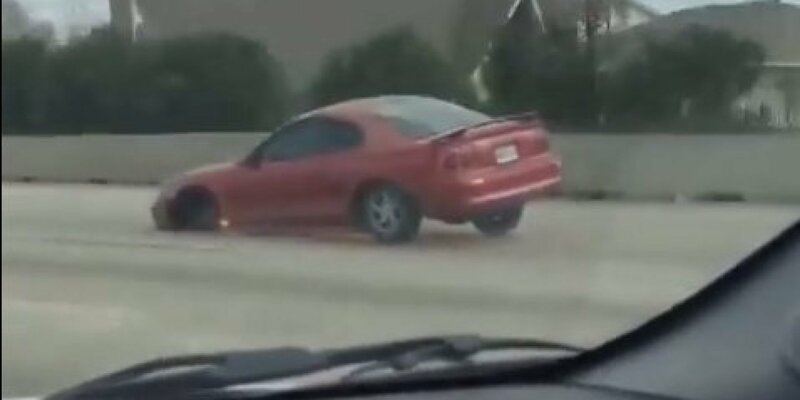 According to the Libertyville Patch, Diaz was making a U-turn and the wheel wells of her vehicle were dragging on the ground. Charges against Diaz included DUI, operating a vehicle with unsafe equipment, improper lane usage and driving an uninsured motor vehicle. September was a busy month for driving under the influence and without tires. In San Antonio, Texas, Flor Rios headed to the nearby drive-through lane of a Whataburger fast food restaurant. But she had apparently forgotten that her SUV was missing a front tire. Police pulled her over and discovered an open container of beer in the vehicle. When they took her to the hospital to get a BAC blood test, Rios attacked the person trying to draw her blood. Officers eventually charged her with DUI and harassment of a public officer. Police in Owatonna, Minnesota probably did a double-take before they picked up 33-year-old Bethany Brogan on DUI charges. Brogan was traveling in her car on Cedar Avenue with the right front tire detached and rolling alongside. When officers caught up with her, they discovered she smelled like alcohol and found an open alcohol container inside her car. Her blood alcohol content came back at .283, more than three times the legal limit. In Levittown, Pennsylvania, it took several police cars to catch up with Rodney Kolison, whose Mitsubishi Gallant had only three tires. Officers said Kolison admitted that he had smoked marijuana earlier in the day.